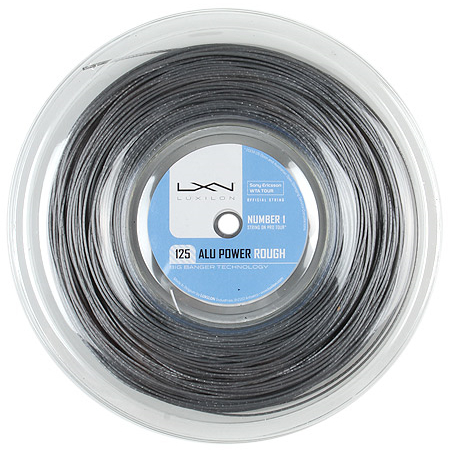 Luxilon Alu Power Rough 16L Reel 220m String - Tennis Town | 網球購物城 - Tennis Racquets, Equipment, Strings, Shoes & Bag. All Big Banger strings - give more power - are very durable - show no loss of efficiency - don't move - are impervious to atmospheric conditions. Attention: It is recommended to string Big Banger strings at least with 10% less tension than your usual strings or than recommended by the racquet manufacturer.